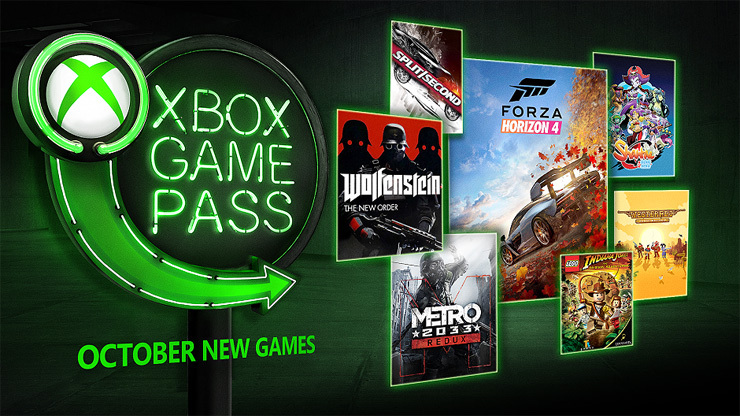 Xbox Game Pass’ October lineup is now available, and it boasts some big games, including Forza Horizon 4! 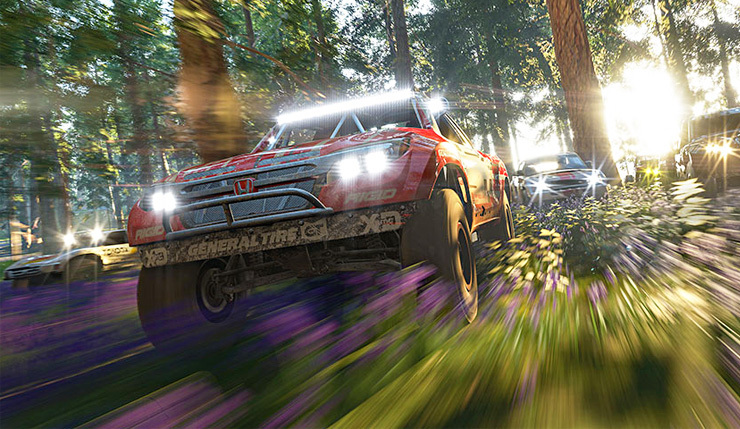 Earlier this year, Microsoft started making all first-party titles available on Xbox Game Pass from day one, and Forza Horizon 4 is the biggest exclusive to launch on the service yet. In addition to Horizon 4, other October Game Pass highlights include the Nazi-blasting romp Wolfenstein: The New Order, excellent horror shooter Metro 2033 Redux, and the adorable 2D platformer Shantae: Half-Genie Hero. The highly anticipated sequel to 2016’s massive hit Forza Horizon 3, Forza Horizon 4 is an open-worldracing genre-first where players will experience dynamic seasons and explore gorgeous scenery in a shared open-world. Collect, modify, and drive over 450 cars, and play solo or team up with friends to race, stunt, and explore your way through beautiful and historic Great Britain. Before there was Wolfenstein II: The New Colossus, there was The New Order. After a daring mission goes awry during World War II, special forces operative William “BJ” Blazkowicz wakes up in the year 1960 to find that the Nazi’s have taken over the globe. The war isn’t over for BJ as he takes up arms to reignite the resistance and take down the tyrannical fascist regime. Moscow, 2033. An entire generation has been raised underground after an apocalyptic event two decades prior. As Artyom, a resident of a besieged Metro Station city, you will venture to the desolate, nuclear wasteland above and deep into the heart of the metro system to warn the remnants of mankind of a terrible impending threat from dangerous mutants and an even more mysterious enemy that goes unseen. Featuring a massive world to explore, weapon customization, and harrowing first-person shooter elements, Metro 2033 Redux is the definitive version of this classic game. Cowboys! Guns! Mystery! Experience all that and more in this spaghetti western-inspired action game that’s unlike any western you may’ve played before. After a bandit murders your family in cold blood, it’s up to you to track him down and deliver justice. The wrinkle to the game is that each time you play, the killer’s description and trail is different, and you must piece together the clues as you travel through the open world, taking on side quests and talking to NPCs. Join Indiana Jones (in brick form) on a series of his classic adventures inspired by the films “Indiana Jones and the Raiders of the Lost Ark,” “Indiana Jones and the Temple of Doom,” and “Indiana Jones and the Last Crusade” all with a unique, tongue-in-cheek flavor – and lots, and lots of LEGOs. You’ll battle, build, and brawl your way from the jungles of South America to the mountaintops of India uncovering secrets and collectibles galore across 18 levels of family gaming fun. With melee moves, magic spells, and Shantae’s trademark animal transformations, you’ll embark on a gorgeously animated, action-packed platformer journey spanning burning towns, tropical waterfalls, searing deserts, haunted abodes, and more. Numerous abilities and upgrades await, and you’ll need them all to discover secret areas and overcome dangerous foes, including a gargantuan sandworm, a very angry mermaid, and Shantae’s arch-nemesis: the sinister pirate queen Risky Boots. The city is rigged to explode blow and you’re in control of the action as bridges will fall, buildings will become clouds of rubble, and cars will be blown to pieces. This is the world of Split/Second, an intense racing game set within the world of a big-budget reality game show where contestants will race across a city made for destruction to be first to cross the finish line. Full of explosive stunts, demolition, and racing thrills, this racing game is full of high-octane excitement. Needless to say, an impressive lineup this month! It’s kind of amazing to see a lavish, big-budget game like Forza Horizon 4 being offered through a $10 subscription service. So, which game will you be tackling first?